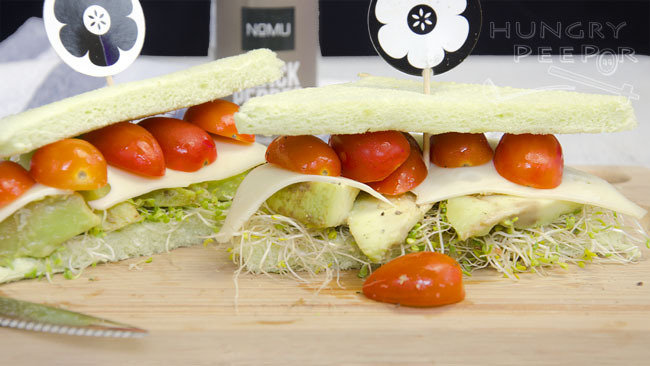 I love the combination of this sandwich – sweet and creamy, juicy and savoury, fresh and crunchy. I love the simplicity of this sandwich and the fact that it is really easy to prepare – just cut and slice and pack everything together. You can have a slice of this on a very busy day and not have to feel deprived of good food at all because it’s so yummy and filling and makes you feel like you’ve just had a million dollar treat because it tastes so good! Halve the sandwich slices to get 8 triangular halves. Place a handful of alfafa sprouts on top of the bottom slices. 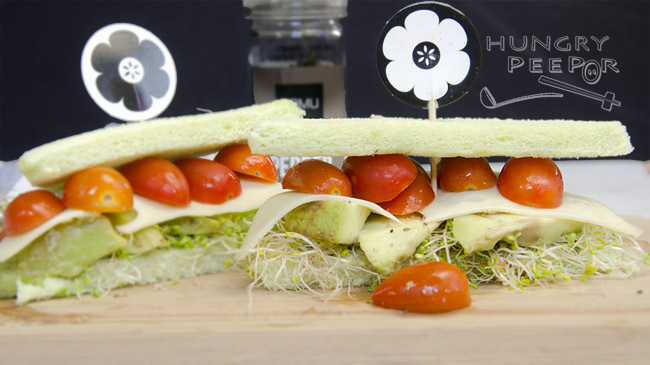 Place slices of half an avocado on top of alfafa sprouts, followed by 1/2 a slice of cheese and 1/4 of the cherry tomatoes. Sprinkle with salt and blackpepper. Top with bread slice to serve. Repeat for remaining bread slices and ingredients to get four sandwiches. 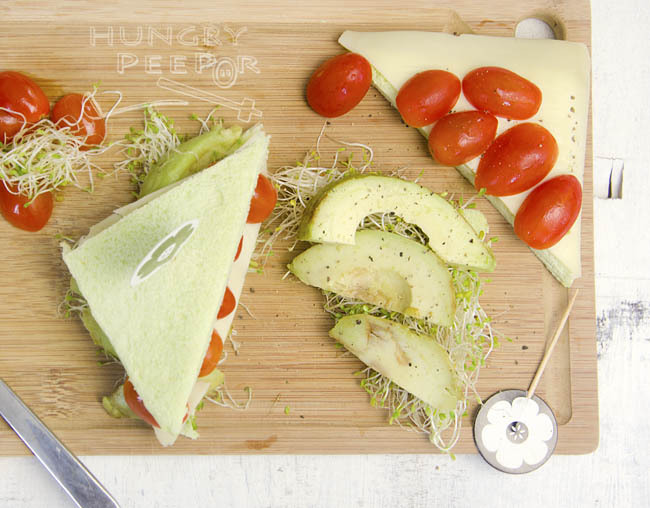 This entry was posted in American, Sandwich and tagged Avocado, Cheese, Chilled, Tomato. Bookmark the permalink.